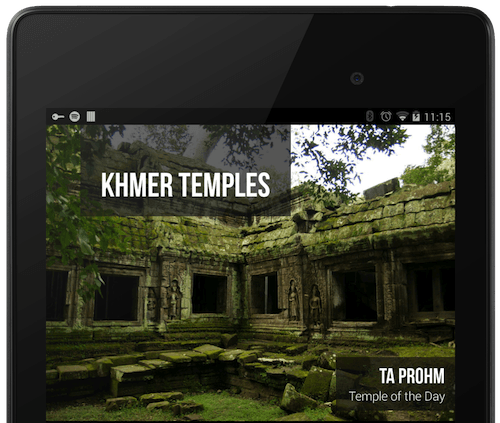 Khmer Temples app has bundled images and descriptions regarding history, architecture, style and more for individual temple. 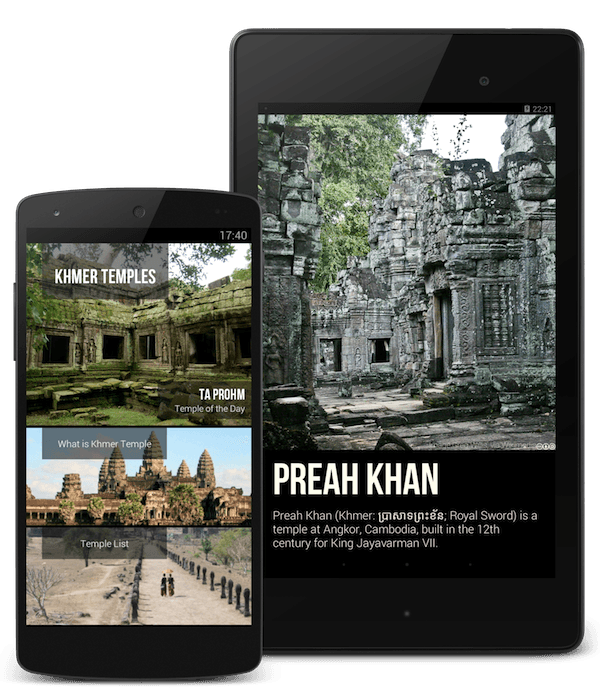 Khmer Temples brings some of the best temples of Khmer Civilization to your mobile phone & tablet. Compatible with more than 3,000 devices, Download it now! 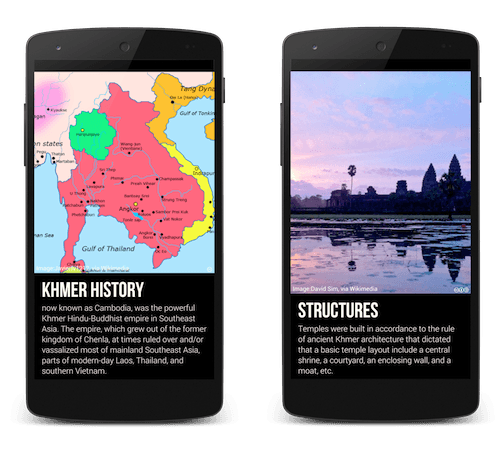 Combined with High-Definition images, detailed and descriptive texts that cover various aspects of individual temple, Khmer Temples gives you the opportunity to experience these wonderful human achievements on the go. Guided preliminary, Rudiments for archeology. 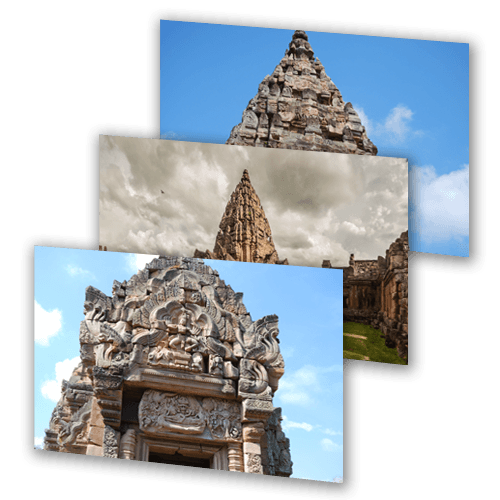 Don't worry if you don't know much about Khmer architecture, a section of 'What is Khmer Temple' is provided to guide you to these jewels of Khmer legacy. Besides Angkor Wat, There's more. 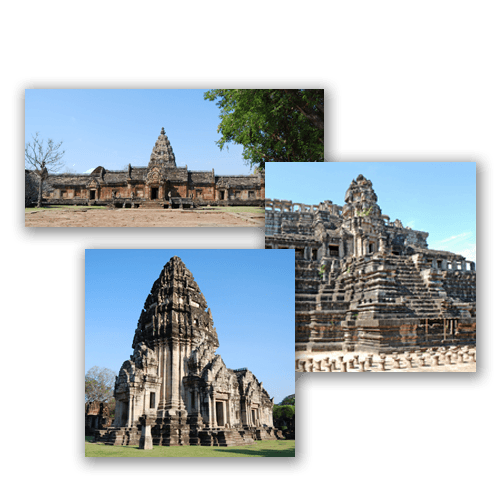 Including temples of Angkor(Cambodia), Northeastern Thailand and Laos: Bayon, Ta Prohm, Banteay Srei, Phimai, Wat Phu and many more. © 2013-2014 by CNBorn · Template is based on Bootstrap Carousel.